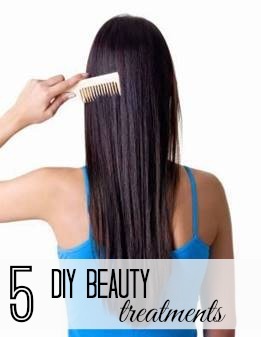 Whether you’re looking to go all-natural or looking to save some cash, going DIY can help you take some much-needed shortcuts to your regular beauty regimen. Check out these beauty treatments you can do yourself in the comfort of your own home! In a bowl, mix 1 teaspoon of Amacari Camu Camu powder, 1 dessert spoon of raw honey, and 1 teaspoon of yogurt. Apply on face, leave on for 15 minutes, and then wash off. 2. Hair Growth Treatment– Often sold for hundreds, Indian hair is among the shiniest and healthy-looking, leaving women everywhere to seek methods to replicate its look naturally. Best way to do it? Using Indian spices. Grab fresh curry leaves and coconut oil, boil together until the black residue starts forming, then harvest this residue and apply it to your hair. Using this treatment twice a week can help replenish your hair, help it grow more quickly, and even fight discoloration. 3. Teeth Whitening Solution- Your best accessory is your smile, but why spend time and money when whitening can be done at home- check out this quick and easy method. Put a drop of toothpaste into a small cup, then add one teaspoon of baking soda and half a teaspoon water. Thoroughly mix, then brush teeth for two minutes. Repeat this process once a week until you have reached desired results. Once you’ve reached you’re satisfied with your teeth whitening results, limit the whitening treatment to once every month or two. 4. Sugar Foot Scrub- Soothe those aching feet and get them looking their best for less using ingredients right from your kitchen shelf. In a bowl, mix 1 cup of sugar (regular white or brown sugar), 1/2 tsp of your oil of choice (almond, olive and coconut work great), and 1/2 tsp Vitamin E oil. Once mixed, apply generously to feet and scrub. 5. Brittle Nail Treatment- Strengthen your brittle nails before your next salon visit using the raw protein from eggs and the skin-soothing properties of honey. In a bowl, mix 1 egg yolk, 1 teaspoon honey, 1 tablespoon water (optional: add a few drops of fragrance oil for a more pleasant smell). Dip fingernails into concoction and let soak for 10 minutes, then rinse off.